Where ever people gather and interact there will be differences of opinion, conflict, disagreements, disputes and arguments. It's a normal part of human functioning. We all have a tendency to shy away from conflict or view it as a negative process. What's easy to forget is that conflict can be a negative thing, or it can be positive depending on the characteristics of the conflict, and how we manage and handle disputes and disagreements. 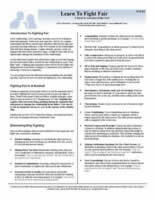 Find hundreds of free conflict management and resolution articles annotated and available on the Internet. This conflict material ranges from the abstract (models of conflict) to conflict style instruments you can take online, through to workplace violence. 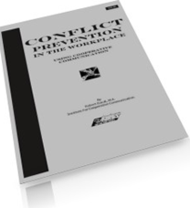 We've included hundreds of hints, tips and practical suggestions about how you can reduce the frequence and intensity and damage of conflict situations at home, and at work. Learn: We've produced an innovative book on preventing conflict, and some shorter tools called "helpcards" that will help you with anger management, thinking through conflict strategies and getting along with other people. 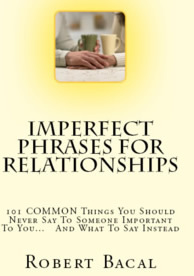 They pertain both to conflict, and to communication, since communication is so often implicated in conflict situations. Free previews are available for all of these learning tools, and they are available in printed format or via electronic download. Suggestion: There is a huge amount of conflict management, resolution material on this site. We suggest that you take your time and explore using the links in the top menu, and/or the drop down menus at the top. The Conflict Library on this site contains over 1,000 articles, resources and tools to help you understand and manage conflict more effectively. To access all categories about conflict click here. Consider Trump: Will a School-Yard Bully Soon Rule the USA? Just how unique is the political rhetoric of the Donald Trump era?